There are no comments for Are You Following Me. Click here to post the first comment. 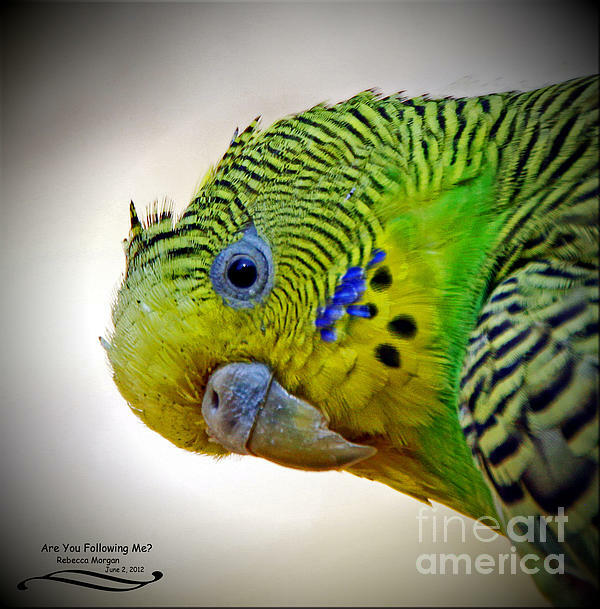 The budgerigar [Melopsittacus Undulatus] is often called a parakeet or a budgie and is one of the most popular birds to keep as pets due to their small size and brightly colored feathers. 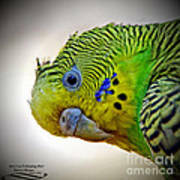 It is thought to be a sub-species of parrot, making the budgerigar one of the smallest parrot species in the world. The budgie is a very sociable bird and can been seen gathering in large flocks in the trees and bushes in the Australian wilderness. 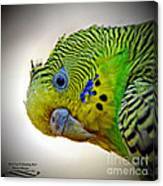 Budgies are one of the few bird species that do not build nests. The female budgie will find a hole in a tree in which to lay her eggs. She lays around 5 or 6 eggs, which hatch in around 3 weeks. The budgie chicks are looked after by their mother and reach full adulthood when they are roughly 9 months old. 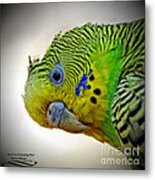 NOTE: "fine art america" Watermark will not appear on printed photograph.